True style meets functionality with this warm hooded brown toggle dog sweater. This fashionable sweater is ideal for protecting your dog against Autumn, Winter and Fall chills. The classic knit-purl combination forms the body accented with a contrast stitched hood with pom pom and pocket. The contrast toggles on the back add just the right touch of style. 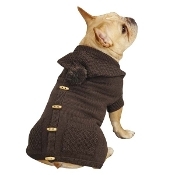 This brown toggle dog sweater features a square bottom shape for full body coverage and a high-cut, stay dry belly. 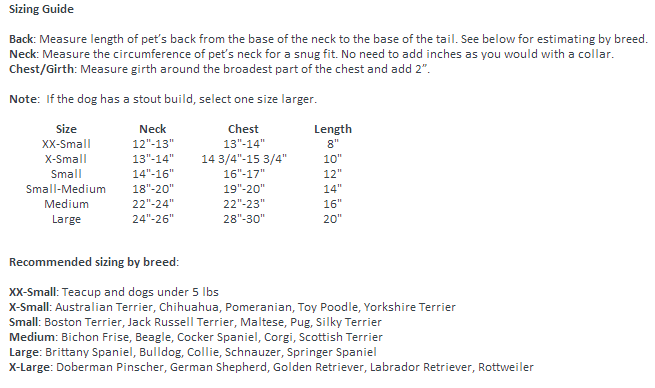 This sweater is available in a variety of sizes to meet the needs of most breeds. This sweater is made by Zack & Zoey with the best quality of materials. Pati's Paws offers free shipping in the USA on all orders over $25.00. Any order under $25.00 will be charged a flat rate shipping charge of $3.99.